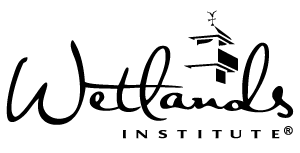 Since its beginning, The Wetlands Institute’s programs have been centered around that central proposition. Our Education programs, whether on site, in the schools, aboard sea-going vessels, or in our lecture hall, teach the value of “stewardship,” i.e. taking care of our natural environment so that it may continue to sustain us. 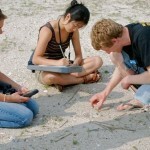 Our Research and Conservation programs not only teach techniques of conservation, the participants practice conservation. Our scientists have combined their efforts with other groups to monitor horseshoe crab populations in the Delaware Bay, and the Institute has supported moratoria on over-harvesting of horseshoe crabs. We have conducted surveys of the fishes of Hereford Inlet, and measured the impacts of mechanized beach cleaning on southern New Jersey beaches. We have been recognized as a world leader in conservation of the diamondback terrapin, a “signature species” for us. Many years of field research by our scientists convincingly demonstrated that commercial crab traps were unnecessarily drowning thousands of terrapins. That research supported the New Jersey Department of Environmental Protection’s regulations requiring Bycatch Reduction Devices (BRDs) on commercial crab traps2, regulations that have been repeated elsewhere in the U.S.
Another activity that has brought the stewardship principle into communities everywhere is the Institute’s Terrapin Rescue program, where thousands of eggs have been harvested from road- killed terrapins, incubated, hatched, and fed until attaining a size that enables them to return to the wild. The program is supported in part by school children who sell “Turtle Cookies”. One of the most momentous days in their lives is when they get to release their turtles to their native habitat. The Institute pioneered the development of terrain barrier fences to reduce the countless deaths of female terrapins by automobile traffic as they struggle to return to traditional nesting habitats. 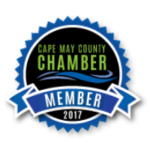 That program has been adopted by other communities in South Jersey and beyond. In many ways the Institute, by “thinking globally but acting locally,” in its Conservation practices, continues to give people hope for the future of coastal environments everywhere. Terrapins – What to do?